Yuichi Saito is a young member of Kobo Shu, a creative studio for adults with developmental disability in Saitama prefecture. Since 2002, when he began making work Saito showed a single interest in making written works, unlike the many artists at the studio who prefer to work in paint. Saito writes the titles of his favorite TV shows: Pocket Monster, Doraemon, Stray Cops (a Japanese version of Miami Vice), TV Champion and so on, methodically creating each piece on the specific day that the TV show is aired. 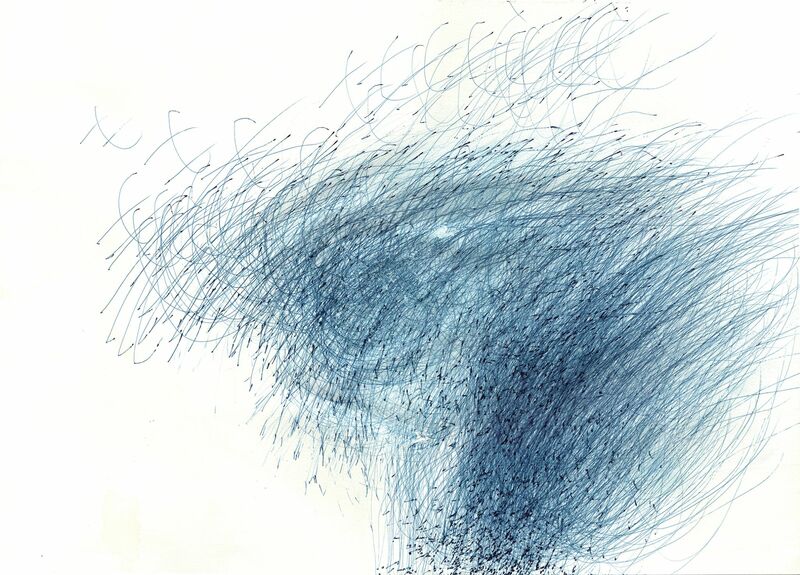 While the drawings are rooted in the artist’ interests, they have recently reached a point of visual abstraction that illustrates a greater level of intensity. More recently, he is indulged in stroking a single alphabet of “mo”, whose repetitions display his emotional states.